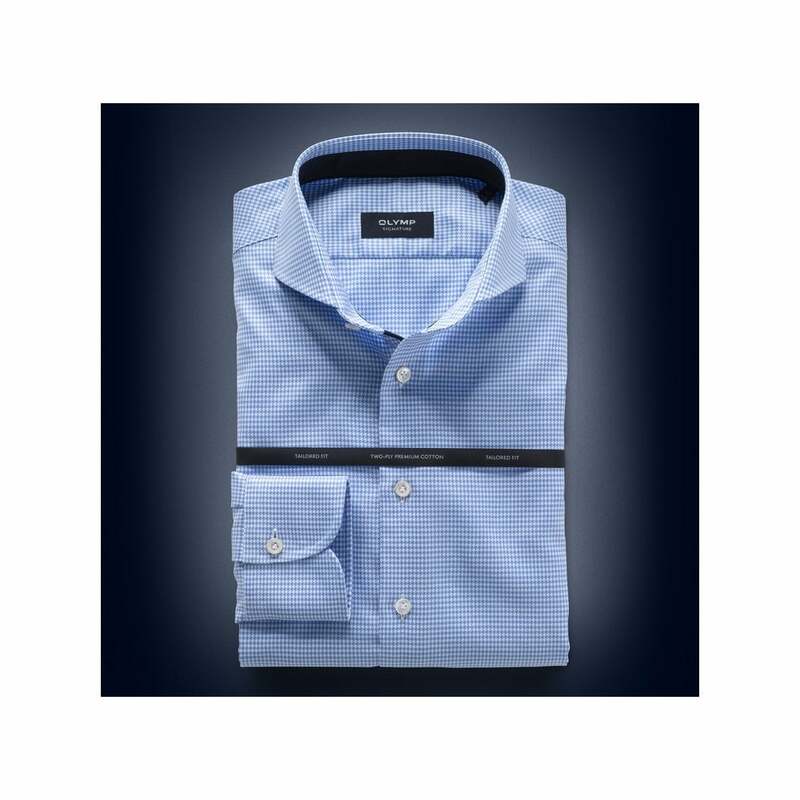 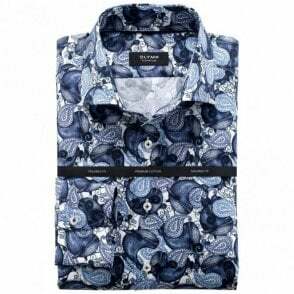 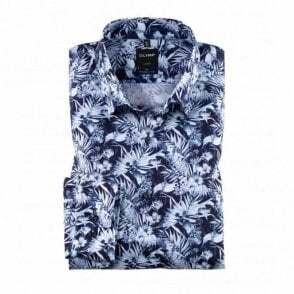 An OLYMP SIGNATURE shirt in classic bleu coloured dogtooth design with a fine sheen, combined with a SIGNATURE Shark collar. 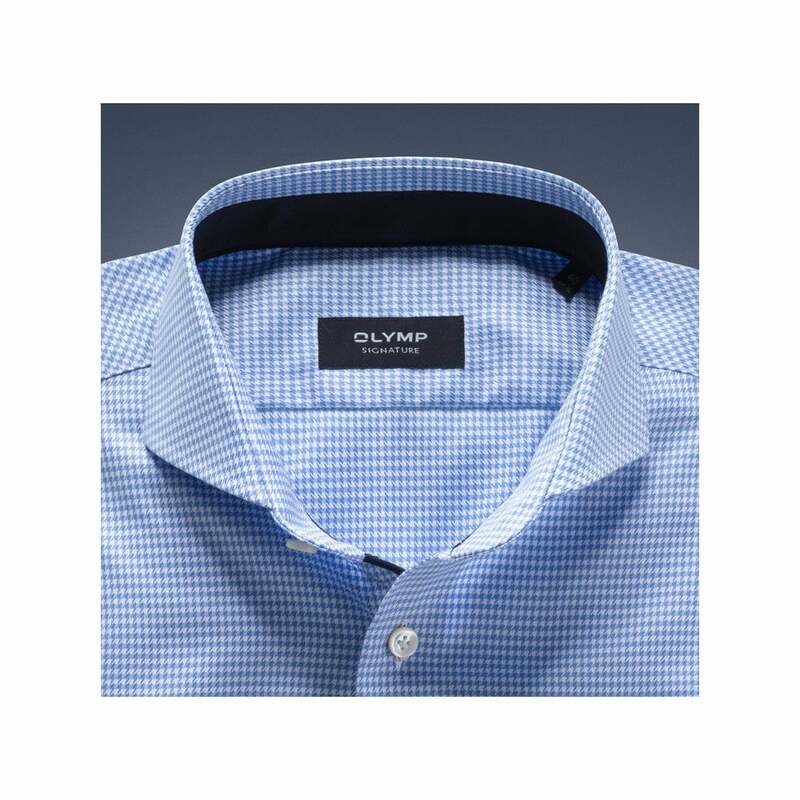 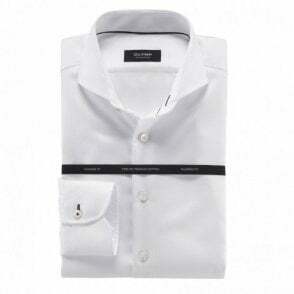 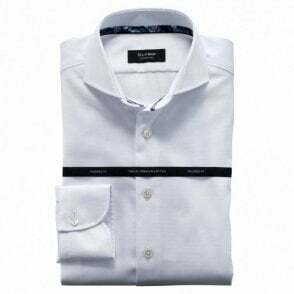 As with every OLYMP SIGNATURE it has a persuasive abundance of fine details – from hand sewn flat felled seams and genuine mother-of-pearl buttons – and with the sophisticated tailoring designed for maximum comfort and convenience: by the lower than usual neckline and contoured shoulder area. 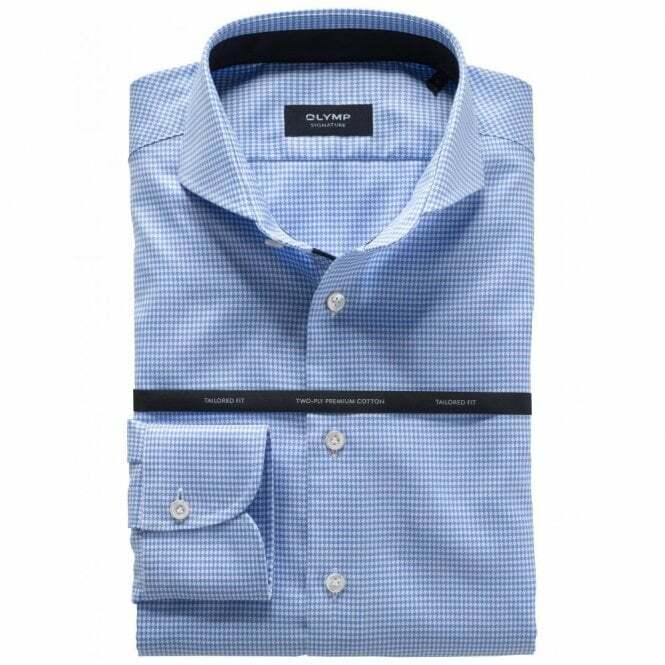 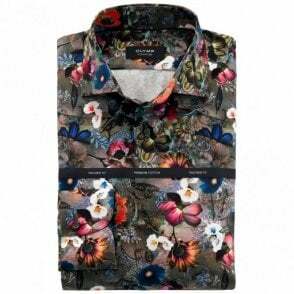 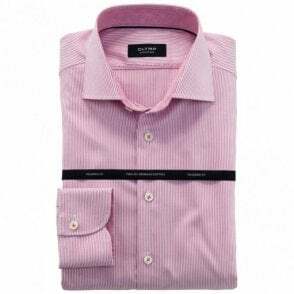 And last but not least, by the tailored fit whereby each size is cut and styled to individual dimensions.